Gaming is expanding and only expanding at every platform. Whether it is PC, PS4, Xbox or Mobiles, players are ready to kill their time for the virtual excitement and fun. Though everyone is not accessible to PCs or PS4s, so the mobile platform is the best way to explore the gaming world. As the majority of users around the world are Android ones, so they might sometime be in the dilemma of what game to download. As the Google Play Store provides a plethora of games- both offline and online games. Plants vs Zombies 2 is a defense mechanism strategic game. It is the sequel to Plants vs Zombies, which was also a massive hit. Only after the 10 days of its launch, Plants vs Zombies 2 got 25 million downloads after breaking the record of Plants vs Zombies before. Coming to the gameplay, the players have an array of plants with unique abilities and power. When the zombies come to infiltrate your yard, these plants fight back to eradicate the walking dead. As the players go through the levels, the levels start getting tough and zombies start invading the yard at the faster rate. But, to counter those zombies, new plants are unlocked with different abilities. Now that the game has broken the threshold of 100 million downloads, this game is one of the best offline Android games for sure. Moreover, this strategic game is the winner of Best Mobile Game at E3- Game Informer, Best Mobile Game of 2013- Mashable and Game of the Year 2013- Slide to Play. Though the game was launched in 2013, it is still one of the best strategic games to play. Check it out, if you are a strategy game player and want to pass your time in a cool light way. Candy Crush Saga remains to be one of the best offline Android games till now. Released by King on April 12, 2012, this puzzle video-game is all about cracky fun and brainstorming. Candy Crush Saga is basically a “match three” game. Just swap two adjacent candies among several presents on the board and make at least a match of three candies of the same color either vertically or horizontally. Moreover, if you are able to create a match of more than three candies, the extra benefit of a special candy will help you a lot to clear the level. The game owns thousand plus levels to blow your brains. Starting from scratch each level will be having different objectives to complete. Achieving the minimum score to unlock the next level and match-making various given patterns. 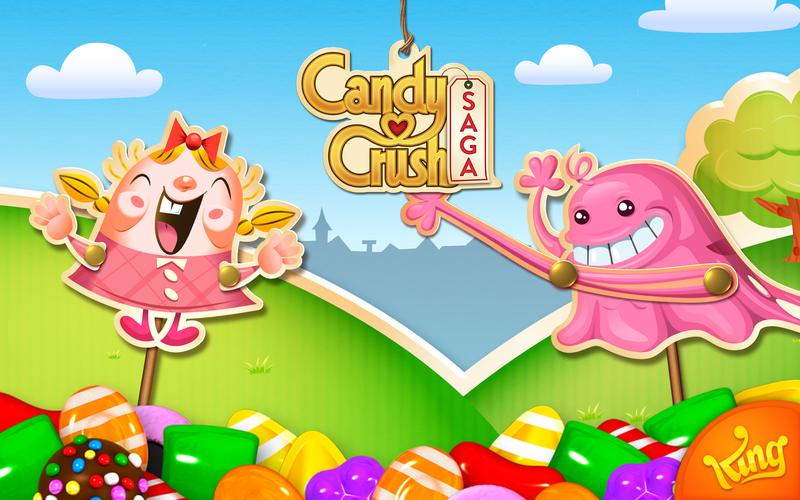 One of the most famous offline Android games, Candy Crush Saga also got its sequel to expand the plot. Candy Crush Soda, Candy Crush Soda Saga, Candy Crush Jelly Saga, and Candy Crush Friends are the one with new gaming dynamics but similar gameplay. Billions of people are still stuck to this catchy game and kid you not, but people are addicted to it like a magnet to some metal. So, if you want some fun “match three” puzzle game, Candy Crush Saga must be a sure shot. Still one of the best offline Android games undoubtedly! Subway Surfers is an endless runner mobile game like Temple Run. The game became the first one to cross the one billion download mark on the Google Play Store in March this year. The game begins when the character is spraying graffiti on a train, the inspector and his dog start chasing the kid. Running away from the inspector, players can swipe up, down, left and right to avoid the coming obstacles. While running, the players can collect coins, jetpacks, sneakers, magnets and many more which makes the game truly fun. Collecting more coins, players can unlock specific new items and make the game more fun and adventurous. Subway Surfers is freely available at both Google Play Store and iOS platform today. This sassy game is best when you are tired and want to relax. Subway Surfers is regularly updated and every time the kid goes to a new city all over the world and run on the railway tracks of that country. So, if you are looking for something responsive and lovely game, just starting your surfing at the subway. 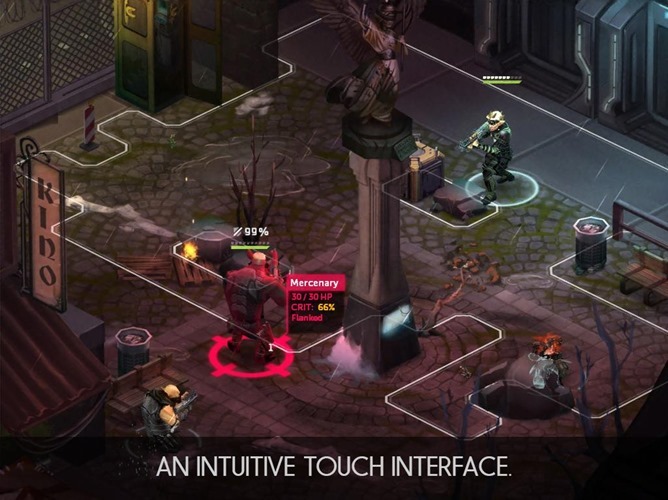 Set in Shadowrun universe, Shadowrun: Dragonfall is the successor of Shadowrun Returns. A turn-based tactical role-playing video game- in a shell. Set up in Berlin, the protagonist is a Shadowrunner joining a team of an old partner, Monika Schäffer to perform various compelling missions. The game is a blend of fantasy world plus gizmo world. The game might seem complex but it is really engaging and addictive combat system. Released in 2014, the game will charge you $2.99 bucks to give a hands-on experience. If you are looking for weaponry like guns and gizmo world like having all together in one place, just buy and play the Shadowrun: Dragonfall. The game got fair-share of positive audience reviews. That’s why we brought this game in limelight by making it one of the best offline Android games to put the hands on. Looking for some “The Walking Dead” stuff- Into the Dead is just what will give you that feeling. Developed by PikPok, the game is after zombie apocalypse setup. The gameplay is very fun and easy going. Players are supposed to dodge zombies moving left or right. As the players move forward, he/she can pick the weapons and kill the zombies. As per Metacritic rating, the game bagged score of 84 out of 100 based on 11 critic reviews. Moreover, TouchArcade, another reviewer gave the game 4.5 stars out of 5. The visuals, background score to the gameplay, everything is stunning which makes this game one of the best offline Android games. To sum it up, if you are looking for a deadly, dark along with perfect gaming experience, then just walk Into The Dead. Into The Dead is free for all with some in-app purchases. If you are looking for an action-packed adventurous role playing game- Crashlands is what you are looking for. Described as a “story-driven crafting game,” this game provides the different creative task to the gamers. The players have to collect items to create and craft items such as weapons and armors. The game is a fun combat with sassy visuals. Set up in a planet, the hero of the story has to build the base and defeat enemies to escape back to space. Hands-on for $6.99, Crashlands is often compared to Don’t Starve. Crashlands has many reasons to be one of the best offline Android games with the number of awards it has bagged. From 2016 Game of the Year by TouchArcade and Gamezebo to Time’s Top 10 Games of 2016, this game still rules in the hearts of gamers. This futuristic game is a blend of hash and slash plus top-down shooting elements. Implosion: Never Lose Hope gets everything from stunning visuals, flawless gameplay and coolest background score any game can bag. Basically, the game features exploration and combat in various environments. The game revolves around Jacob Francis Carloway, a Warmech pilot serving the Ivonix in the world of advanced technology. When an alien force called XADA attacked earth in 2178, people evacuated to other planet Tau. Now after 20 years, the Tau system people got to know that there is an attack coming to their planet from Earth. In order to save the planet, two Warmech suits are deployed to detect and eliminate the upcoming threat. It is really amazing to watch how the game continues to build a beautiful storyline as the levels start stepping up. The player has to achieve the minimum score to unlock the next level. But, there’s a catch- if the player fails to do so in multiple times, the ratings or rewards you get will drop down. The game was critically acclaimed by the reviewers which helped it in bagging a spot in the best offline Android games list. Moreover, Implosion: Last Man Standing was developed afterward which also received the same overwhelming reaction from everyone. So, if you are looking for some action-pack gaming experience, start firing in Implosion: Never Lose Hope. The bad news is the game is paid and will charge $10 to provide you its experience. Alto’s Odyssey is the super cool sequel of another amazing game, Alto’s Adventure. As the makers themselves said “their goal was to make it perfect,” they have stood to it without any doubt. The sequel gets a desert theme with same gameplay like its prequel. If you are unaware about the gameplay, so here you go. The game is a side-scrolling endless runner snowboarding game. The users see a right-sided self-generated landscape which only gives him the freedom to jump and ride through it. Moreover, in mid-air jump you can perform various skill and tricks. In the nutshell, this game is shrunk form of the famous Cool Border 2 game experience in mobile. Though the first part was critically acclaimed worldwide, the deserted sequel brings same fun and excitement in it. Alto Odyssey was first launched on iOS platform and bagged Apple Design Award for Outstanding Design and Innovation. After the amazing success, the game came on Android this year and is found on every second Android device. So if you want to chill and relax on a very busy day, this is one of the best offline Android game to go for. Asphalt 8: Airborne is a racing game launched in 2013 on Android as a part of Asphalt series. The game is similar to its prequel with that “Tilt to steer” option. Moreover, “Tilt and icons”, “On-screen controls”, “Tap to Steer” are also there to give great user interface plus experience to the racing gamers. Previously, the career mode had 180 events divided into eight seasons. Later on, additional challenges were added to the seasons. Moreover, 220 plus cars are waiting for car lovers. Airborne lets you customize the cars taking it to real-world feel. Touch Arcade, a gaming reviewer gave the 5 out of 5 scores to the game. If you are looking for some crazy racing experience, switch to Asphalt 8: Airborne and win the events. If you are interested in a sports genre, Stick Cricket Super League is unarguably one of the best offline Android games. Like all Stick Cricket games, in this too, the player tries to score runs. With just a tap on the screen on left or right at the perfect time, the player can score runs in different match formats. Super Cricket Super League has a catch here- the players can create own player before heading out onto the T20 cricket arena. There are many cities competing in the game. Not only this, you can sign superstars, smash sixes and take your own team to the competitions to compete. While doing this earn your trophies and awards to boost up your career. The game is loved by most of the cricket fans out there searching for a cricket genre gaming experience. Reveal your list of best offline Android games in the comments section below. For more updates, stay tuned at TechDuffer.